I admire those that fight for the Palestinian cause, those that are able to speak up and raise the Palestinian flag all around the globe. It takes real courage and determination to fight for such a cause, one that is standing so fragile against the world’s strongest powers, one that has left many scarred for life and a cause that has been wounded and left to bleed alone for close to seven decades. Norwegian physician, humanitarian, activist and politician. 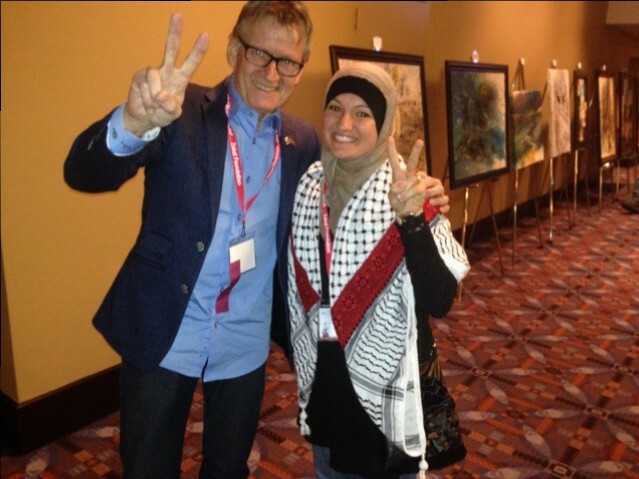 My heart is touched when I see individuals that have devoted their lives to spread the truth and to tell the world about the injustice that has happened and is still happening decade after decade in Palestine. 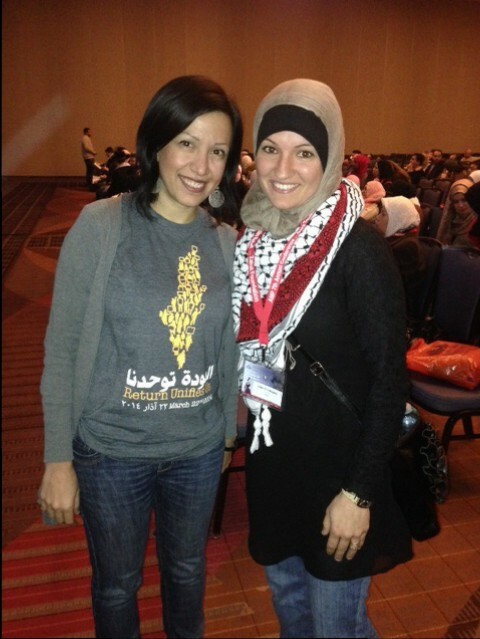 I was lucky enough to attend the 7th annual conference for American Muslims for Palestine in Chicago this year, where I felt as though I fell in love with Palestine all over again. I fell in love with that place that I long to see, long to touch, long to smell. Hundreds of people gathered there and our love for this piece of land united us. I felt a different sense of belonging and security. I felt as though I found some of the missing pieces of a puzzle that I was looking for, between these people, that shared the same love for Palestine as I did. Struggle against injustice is not just fighting with a weapon, but it is also the brush of a painter, the words of a poet and the voice of a singer. I strongly believe this quote and I believe that we can fight with our words, we can fight with whatever we are capable of fighting with. In the end we are all fighting for the same cause. And although I know and strongly believe that fighting injustice by sacrificing yourself is the strongest form of struggle, I also believe that words can be just as strong at times. An article can change the minds of people, a poem can tell a story of Palestinian child, a song can be heard by millions all over the world, a painting can remind us of Palestine, a boycott can ruin an economy, a book can take us back home. One doesn’t have to have a weapon to be able to stand up and fight for Palestine, but we can fight in any shape, way or form. We can use whatever talent or occupation we have to fight and to tell our story to the world. This is the only way our story will survive and this is the only way we can pass our narrative from one generation to the next. 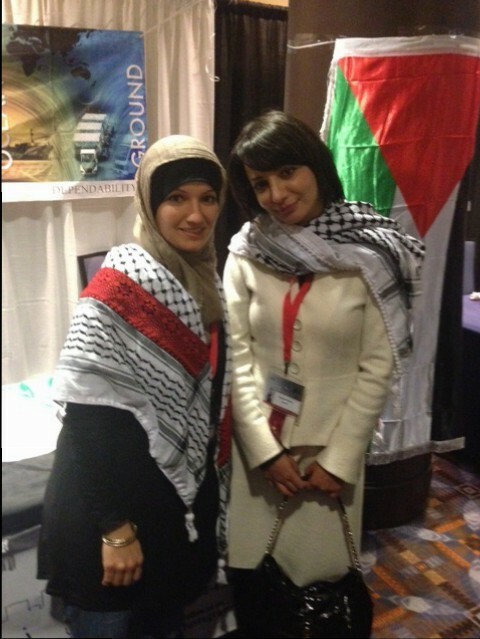 I was lucky enough to listen to and meet so many great individuals, ones that used their unique talents solely for the great cause of Palestine. I fell in love with each one of them and realized how truly valid Arafat’s quote was and still is. They touched me and left me inspired to do so much more. Each one of us has a role to play, each one of us can do something that can bring us a step closer to ending the occupation in Palestine, even if that step is thousands of steps away from that dream. What have we done to deserve a free Palestine? What have we done to deserve to go back to this land? It is only with true activism and determination that we will witness this day. It is only with true activism and determination that our story and our history will never be erased. Mohammed Zeyara. 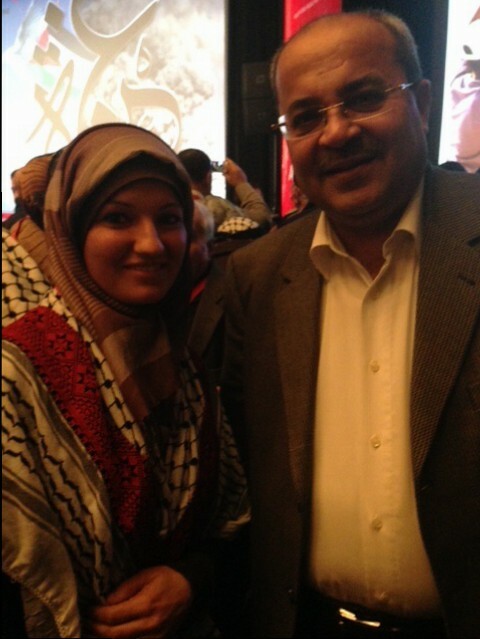 Palestinian public speaker and human rights activist. Ahmad Tibi. Member of the Parliament at the Knesset. Mustafa Barghooti. 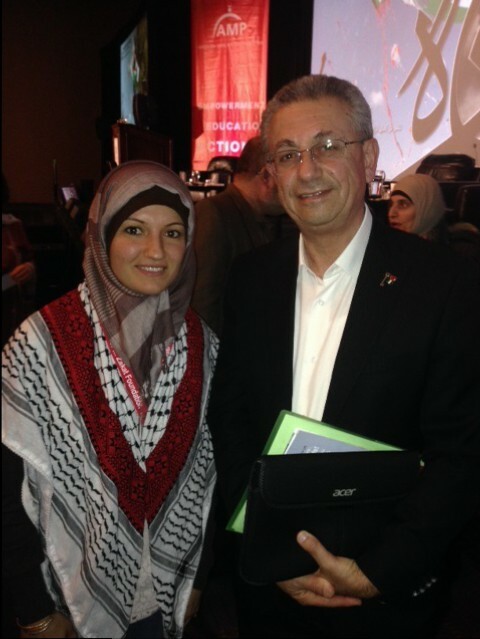 Palestinian physican, activist and politician. Ghada Oueiss. 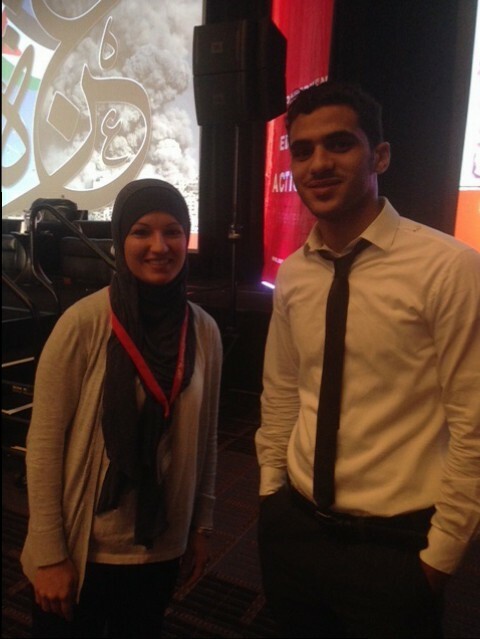 Lebanese presenter at Al-Jazeera. 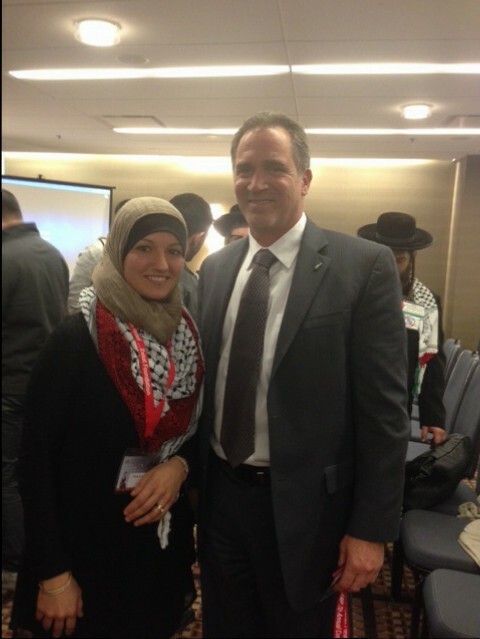 Miko Peled. Israeli peace activist and author. 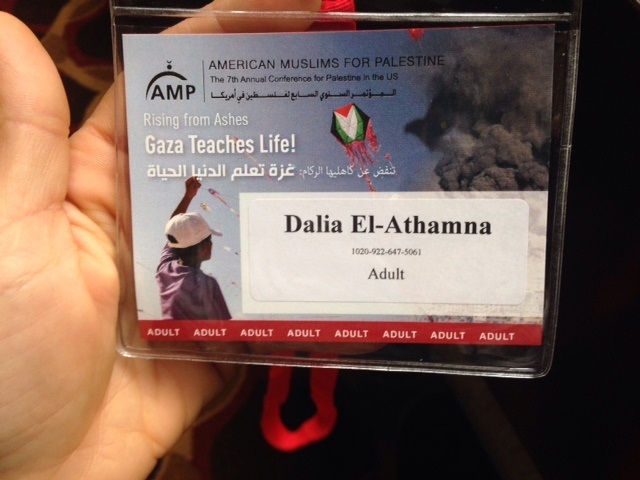 This entry was posted in Falasteen and tagged activism, Arafat, cause, human, Palestine, rights. Bookmark the permalink. And I admire you ,, beautiful written and amayzing words and feelings .